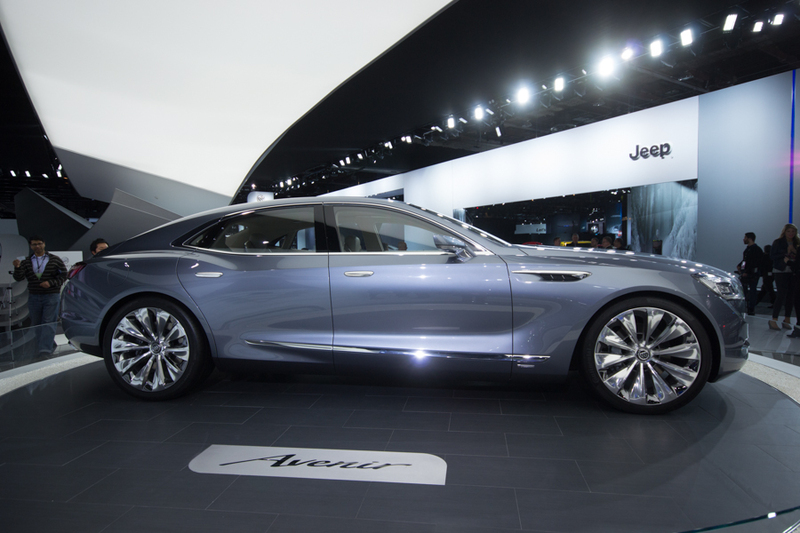 Meet the Buick Avenir concept. 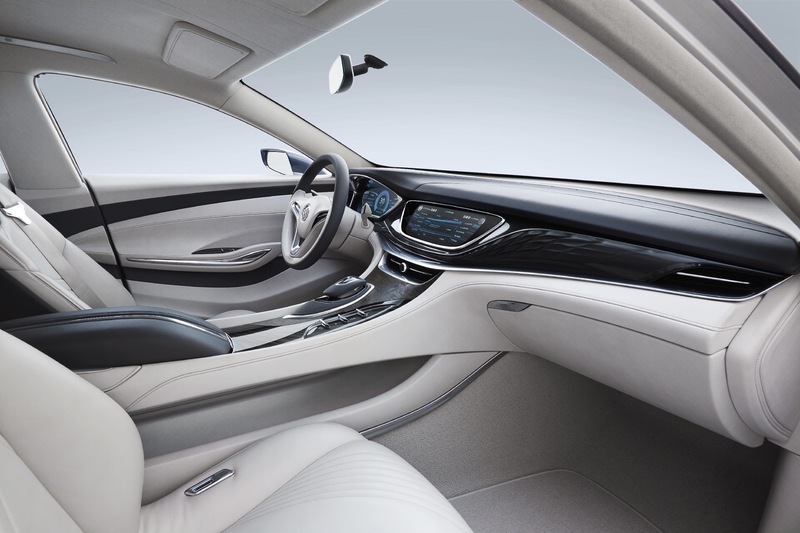 Introduced in advance of the 2015 North American International Auto Show in Detroit, the Avenir concept explores a flagship Buick sedan with “progressive design, new levels of passenger well-being, and technology integration”, according to Buick. The Avenir — French for future — features premium, sporty, and expressive styling that represents all-new interpretations of traditional Buick cues, according to the brand. A long hood, sloping rear deck, and wheels-at-the-corners stance make for short overhangs and a cab-rearward proportions, while a healthy dash-to-axle ratio screams rear-wheel drive. 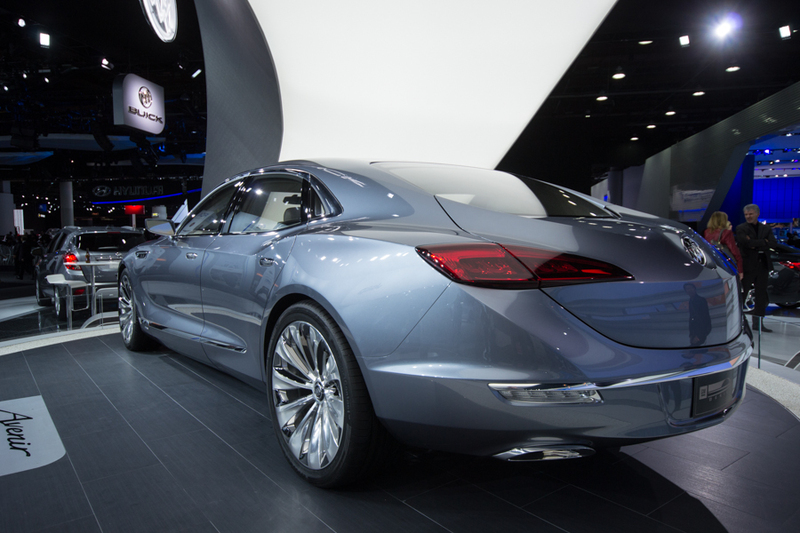 The concept’s sculptural surfacing, expressive proportions, and Buick’s signature sweep-spear bodyside signal an exceptional driving experience that awaits inside. 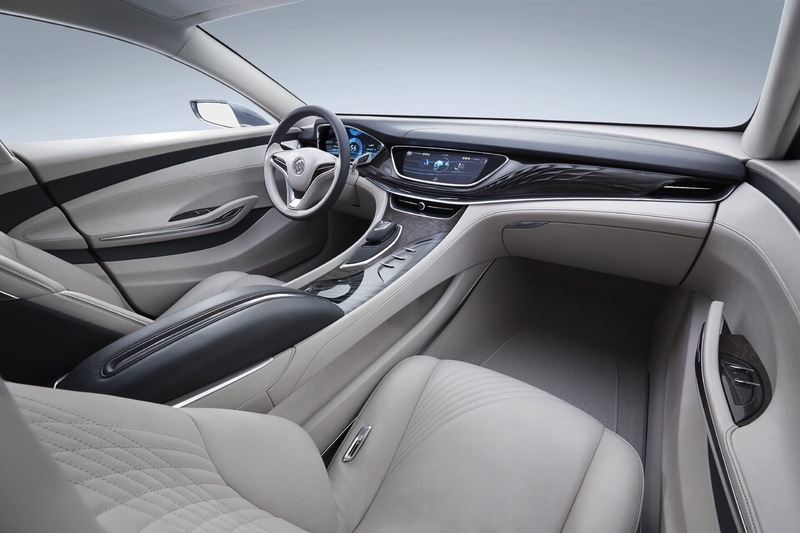 Speaking of which, the cabin is designed for the comfort and well-being of the driver and passengers, while “Technology is seamlessly integrated and builds on the features that have become hallmarks for today’s production models – helping drive a new generation of customers to Buick”, says to Welburn. 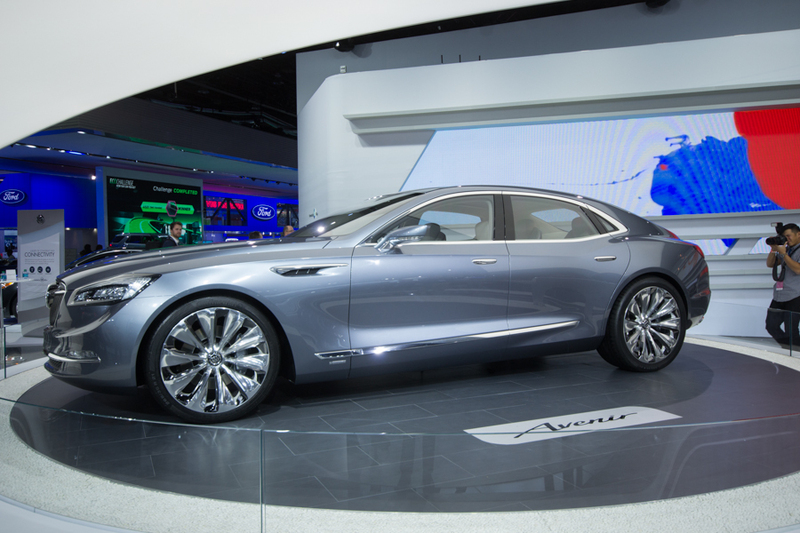 Stay tuned to GM Authority for details on the Buick Avenir concept and more GM news from the 2015 North American International Auto Show in Detroit. Previous story Is The Holden Versus Ford Culture Dwindling? Looks nice! Would love to see more! Too bad it will meet the Ciel and the Elmiraj in the land of vehicles that will not be built. 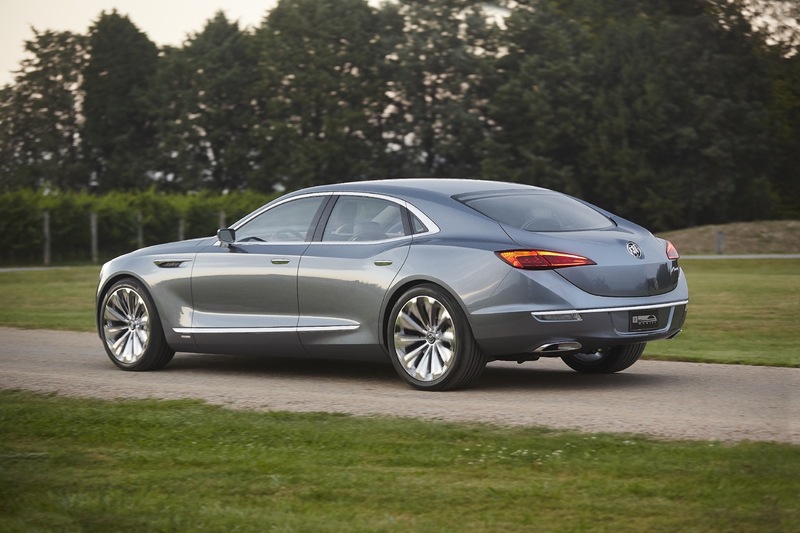 Hopefully the next Opel Insignia will get some inspiration. You’re such a silly. This is close to production. Much closer than Ciel or Miraj were. What makes you think it won’t be built? 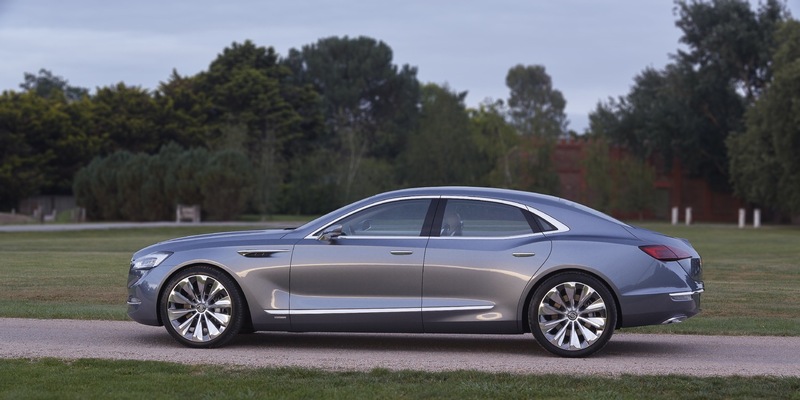 oh please… Elmiraj was just as production ready as this Buick. I hope they build but im not holding my breath. 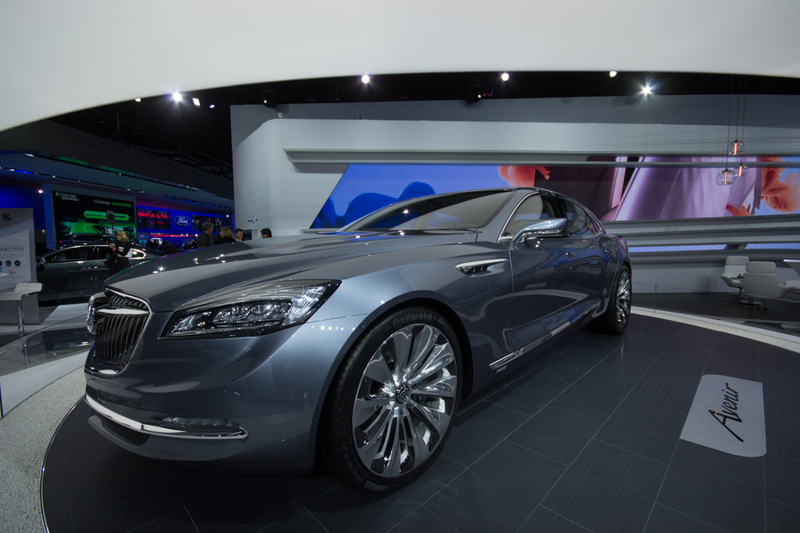 Well that’s the best looking Buick of all time. Any idea what design studio is responsible for it? Beautiful!! Please call it a Park Avenue! This is quite awesome! 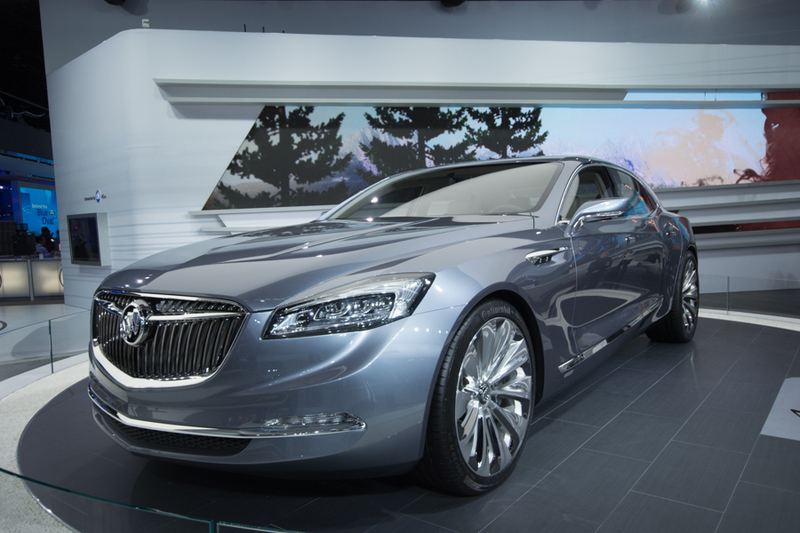 I hope it’s a concept Buick is serious about capitalizing on. 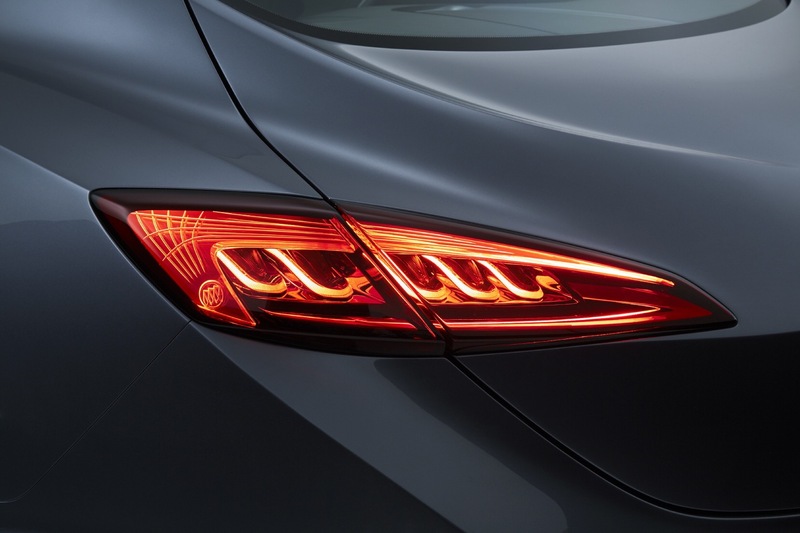 I’ve been saying for some time that Hyundai and Kia are building the cars Buick should be producing: premium, and relatively inexpensive cars with style the market gravitates to. 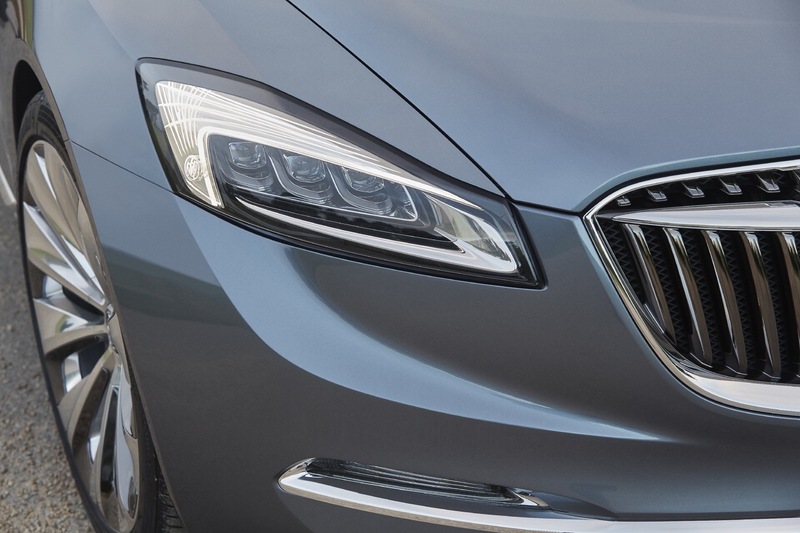 Buick’s lineup should include at least one or two performance oriented vehicles and a premium flagship model to create a greater sense of desirability towards the brand. 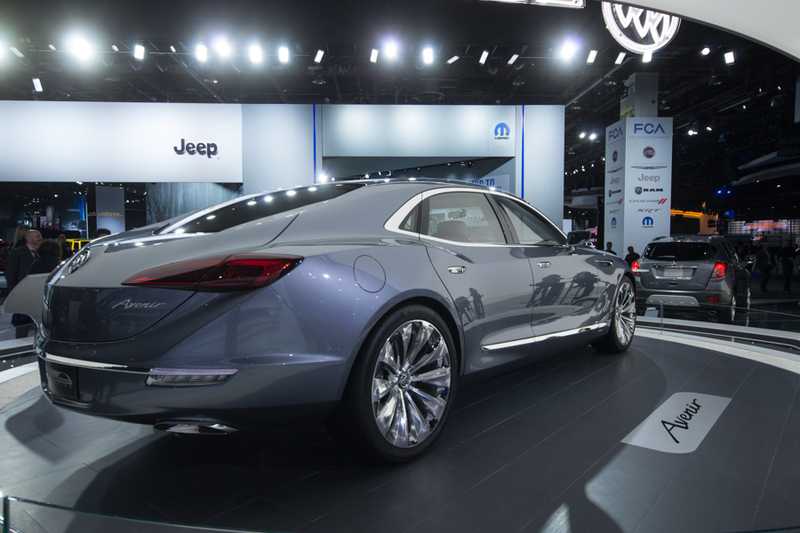 While Buick is turning up some profit as of late, these are the type of cars that’ll bring in more; from both young and old customers. This concept kinda looks like that photo of the supposed next-gen Commodore that’s been floating around. 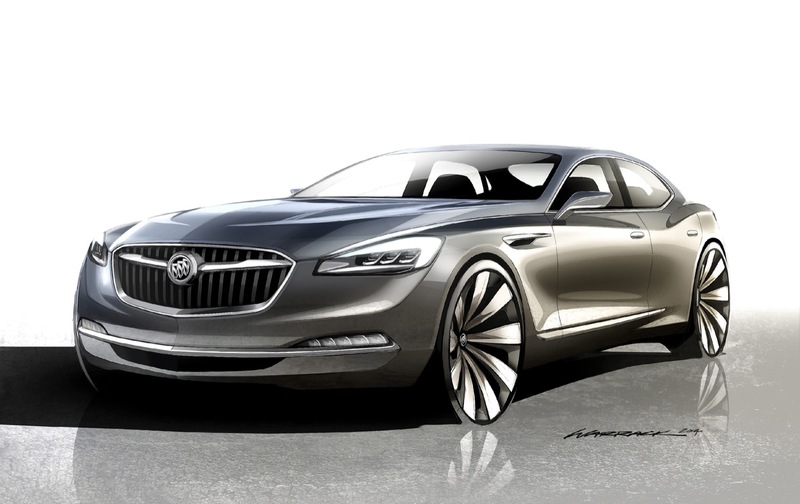 So I wouldn’t be surprised if this concept previews that car, along with the next Insignia and lacrosse. this is grazy good job guys. 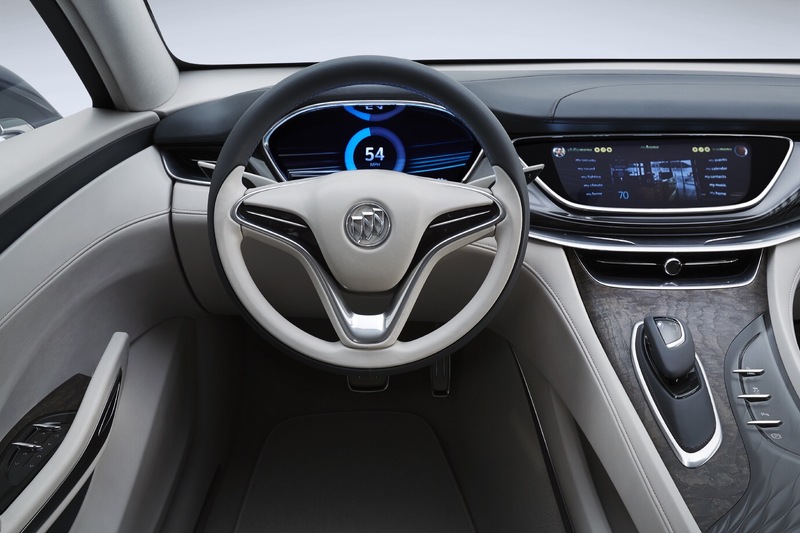 Welcome to the future of Buick. Folks this is about 90% what you will see in the future. 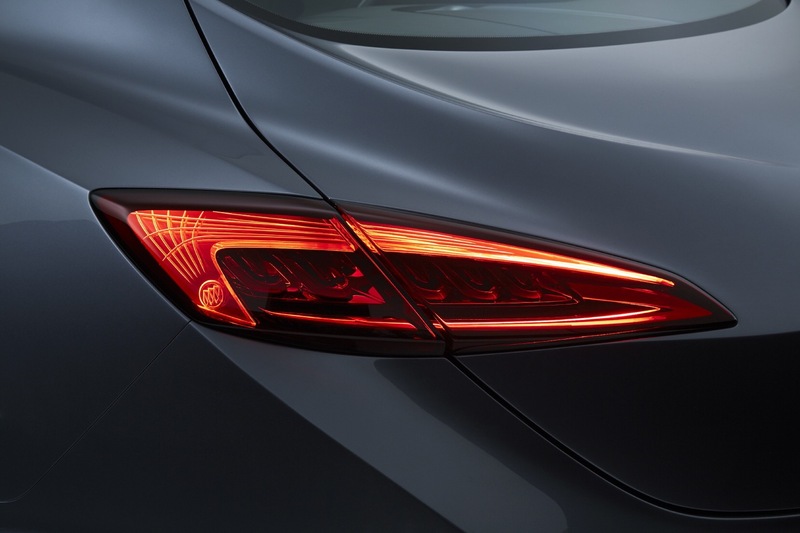 Note that the tail of this car was shown in the Holden ad last year. 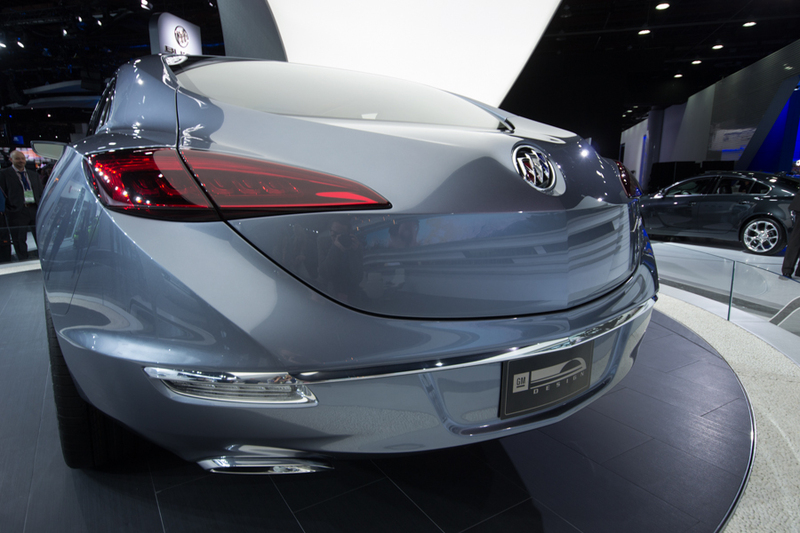 Mark Reuss also spoke of a car that was Buick take on the Porsche sedan and if you look at the tail that is it. Mark said it would be dramatic and this sure fits the bill. This is not some six month prototype done for a show this is a show car of a coming production car that we will see. The Cadillac’s were pure show cars built far out on an ever changing production car. This on the other hand is a show cat that is near production and we may see it in about a year to 18 months would be my guess. I suspect Holden is getting one as well as Opel. This is their new full size car. I keep telling you things are coming and you just have to let them happen. Some of these things are sitting in plain sight but so many just want to complain and not look for the Easter Eggs GM leaves. Look up the Holden Commercial again as there were several Easter Eggs there. I have no crystal ball but I know how GM does things and paying attention to details can lead to a lot of information. GM tends to reward people who pay attention. This is the one I saw last year with a big hint right in the middle. This is the same thing I was thinking of along with the “more beautiful Panamera” statement. Nice find there scott3. This car is so beautiful. I hope you’re right and they build this. It would give Audi a run for its money. This already looks production ready… probably the chasis is from Omega. Gorgeous. The line in the waterfall grill doesn’t excite me …. but that’s about it!!!! The four seater concept really only works if the seats recline and offer things like heated seats similar to the front — Regal had a four seater package back in the 80’s (Option B1B if I remember correctly) and it wasn’t a big runner. The standard would have to be five passenger. I agree. Looks great except the grill needs some work. 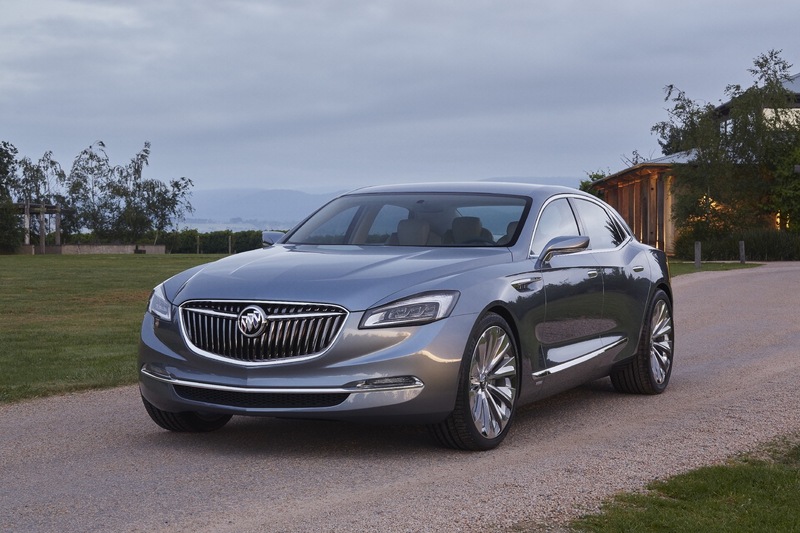 Looks like they are searching for a unified grill between Opel and Buick. Good idea, but they can do better. It’s beautiful as is. I’m anxious to see how much it will be dumbed down for production -if it ever gets that far. I’ve never been a fan of the waterfall but even that is good. Gary do not expect a lot of dumb down here. Maybe a little on the wheels as these are show large. But even there not too much. The interior I would expect the most changes as there are some real world things that would need to be added. From what I see of the rest of it this car is pretty much product ready. Note how high the hood is on the nose. This is for crash space between the engine and the hood. That is a good sign that the body is pretty much set. 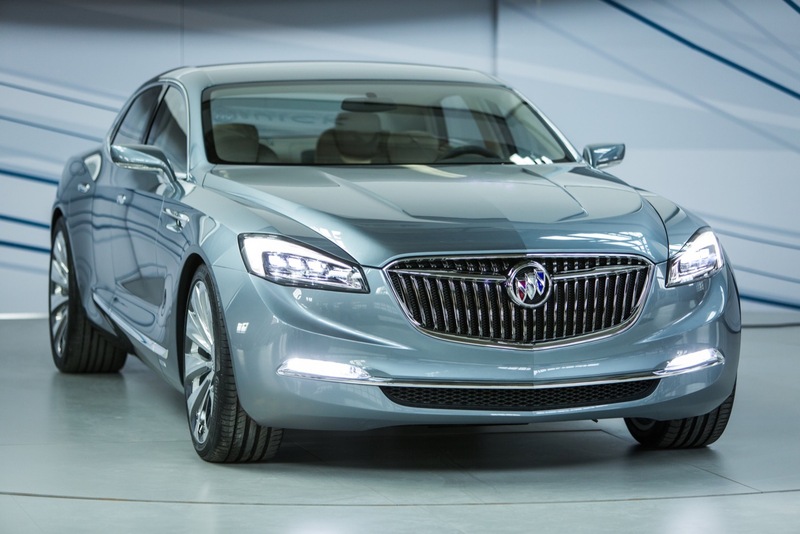 Again, Buick shouldn’t be offering full-size cars, much less try to present them as ‘flagships’. The term ‘flagship’ itself is foisted about too much without much thought about what it means. It’s not intended to book-end a brands range; not every brand needs or is deserving of a flagship. 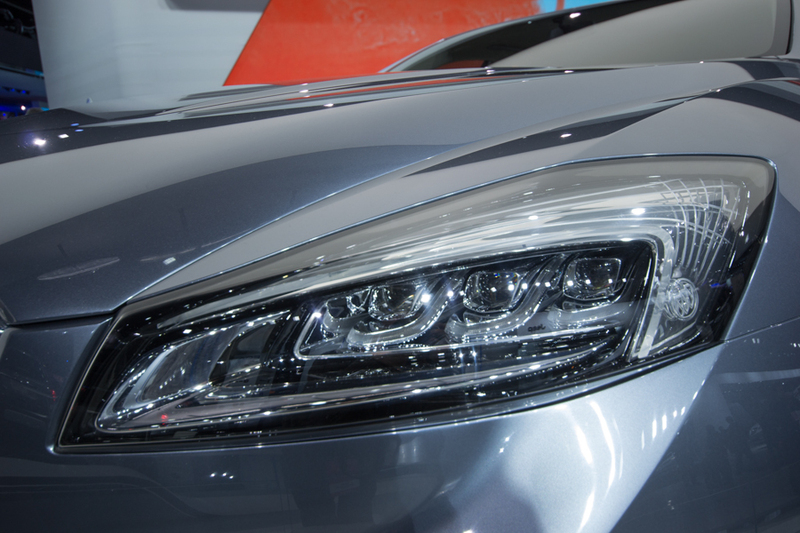 Flagships are an exhibition of the engineering might of an automaker. In automotive circles, it’s suppose to mean the very best; the face of the company that built it. 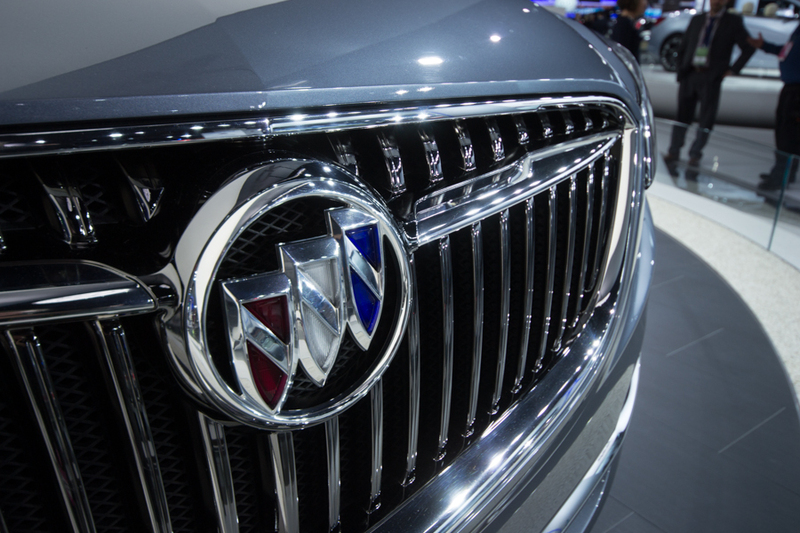 Why would Buick, the habitual down-market, low res, second tier runt ever deserve the best GM can offer? 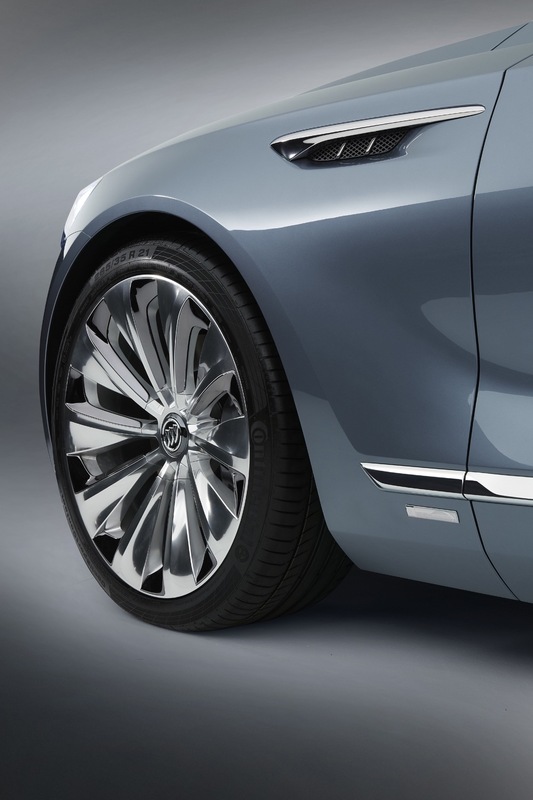 Flagships, whatever becomes of them, should be the exclusive domain of Cadillac. No excuses. OK we scrap this and just build an Opel Adam and sell it? 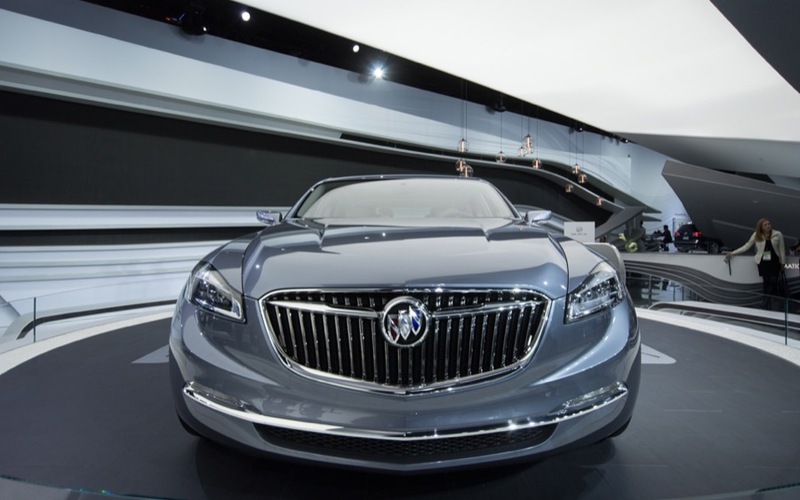 Wile I agree the term Flagship is one of the most over used terms in the media that is not Buicks fault. The media and people on Forums use the term like it is free government cheese and put it on everything. 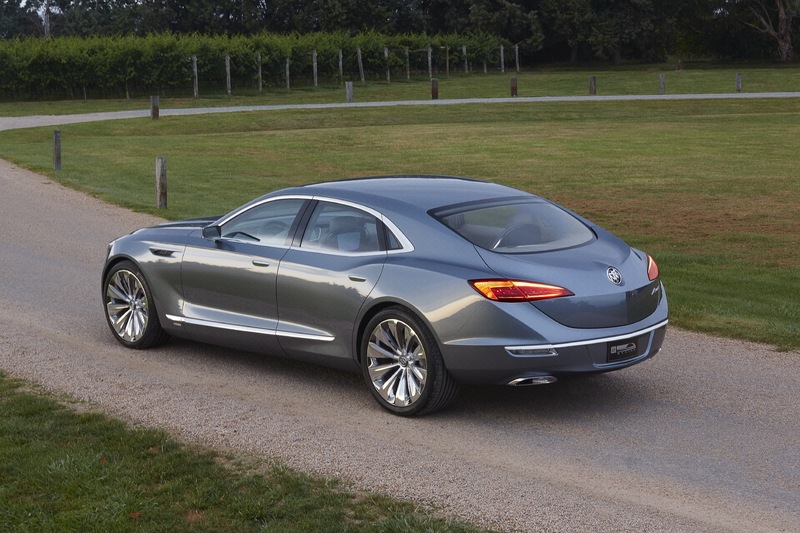 The fact remains this is a car that would suit Buick and will fill a gap between Chevy and the coming Cadillac product. There is money on the table here and you can either take it or leave it for someone else to take. If you have a beautiful machine like this and you do not use it then you are leaving money on the table no matter what you call it. 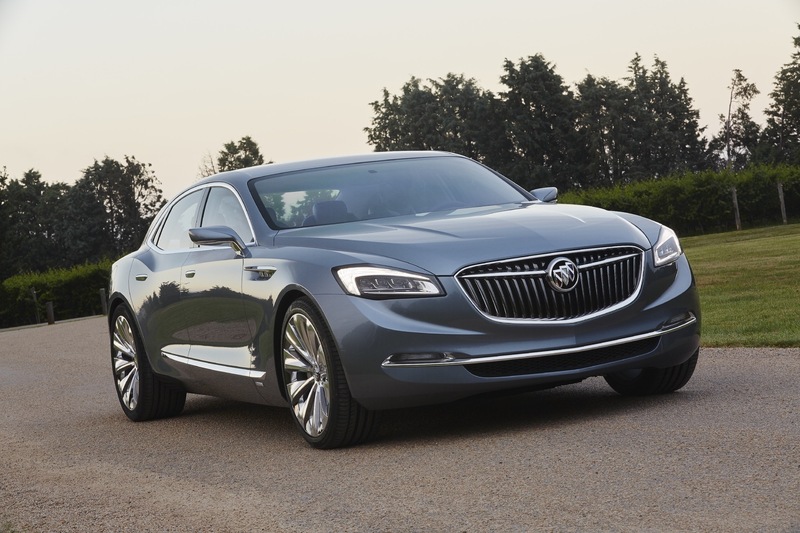 Buick must move beyond the Lacrosse and Regal and this is a good place to star. 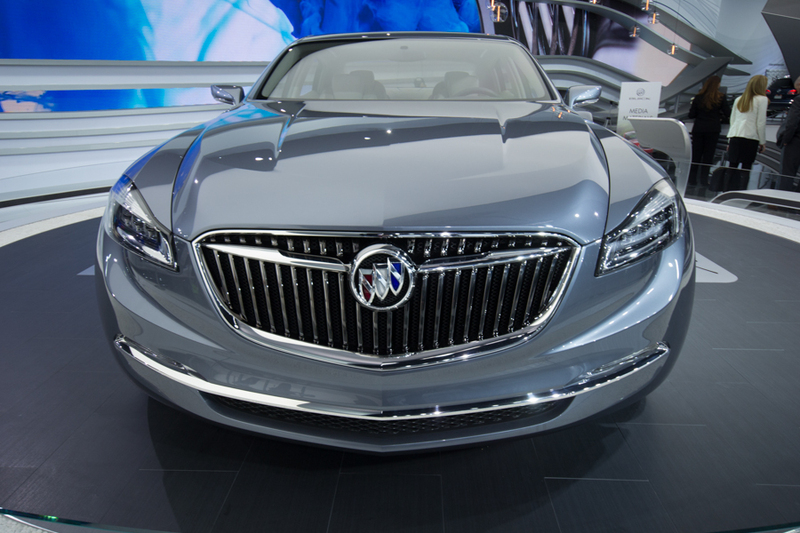 The Convertible is not going to change peoples idea of Buick but a car like this could. 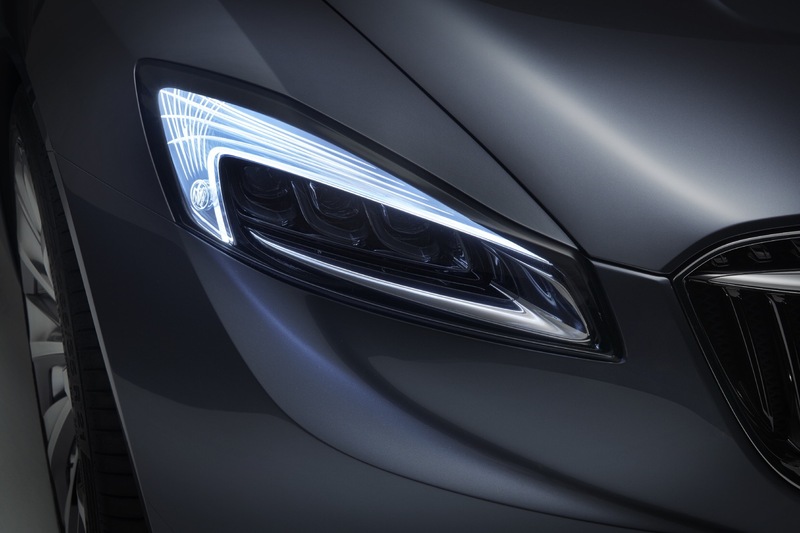 – Who said that a flagship can’t showcase the engineering/design might of a brand, rather than that of an automaker? Why can’t each brand express itself? 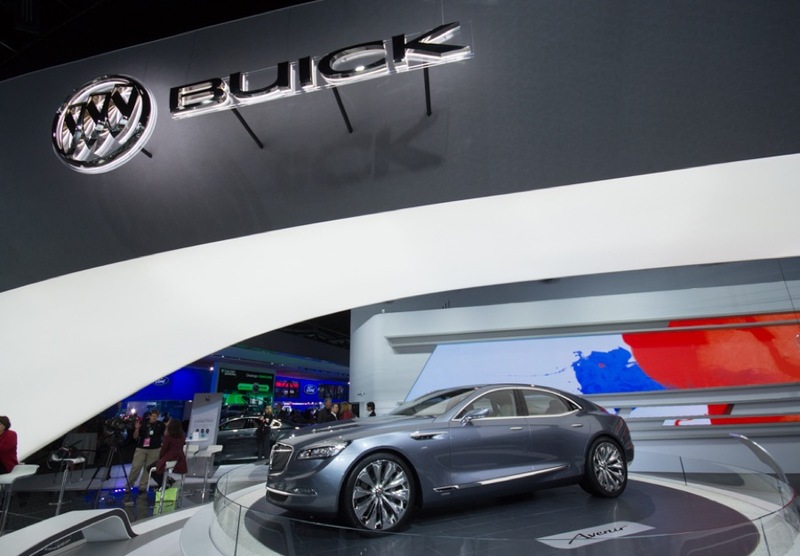 – Yes, today Buick may be “the habitual down-market, low rest, second tier runt”. I wouldn’t put it like that myself, but I’ll agree that it’s not a top-tier luxury brand, if a luxury brand at all. But that doesn’t have to be the case in the future. This vehicle, along with those that will come after it, will work in correcting the current state of things. As you can see and hopefully agree, all of these serve as flagships of their respective brands… which are run like divisions within VWAG proper. I see no reason why GM must limit itself by having flagships tied to the Cadillac brand (itself a division now/in the short-term future). The flagship of GM? No, of course not. 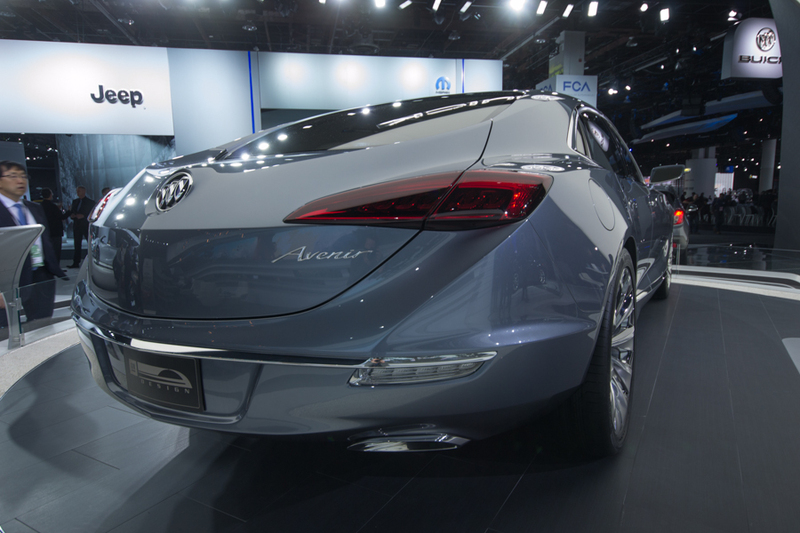 The flagship of Buick? Most certainly! They will definitely make this. 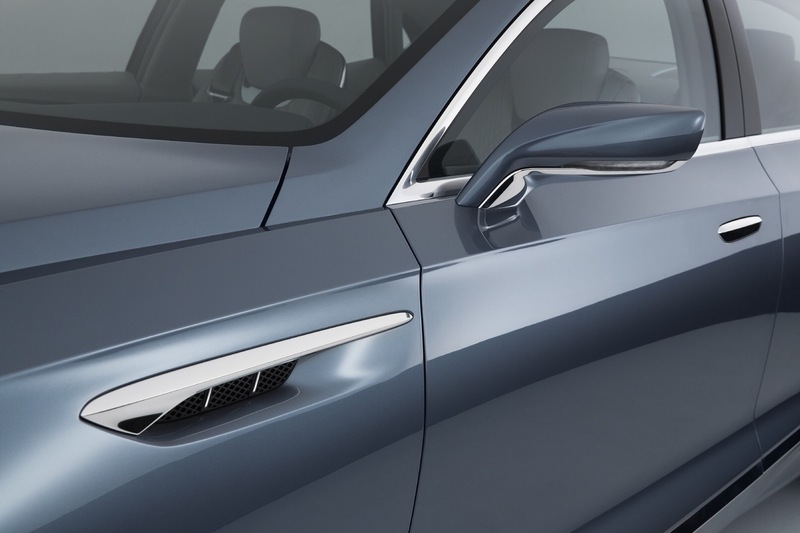 it seems like a smart idea considering that a new Lincoln Mks is coming. Plus this should be cheaper than a CT6 when optioned out. 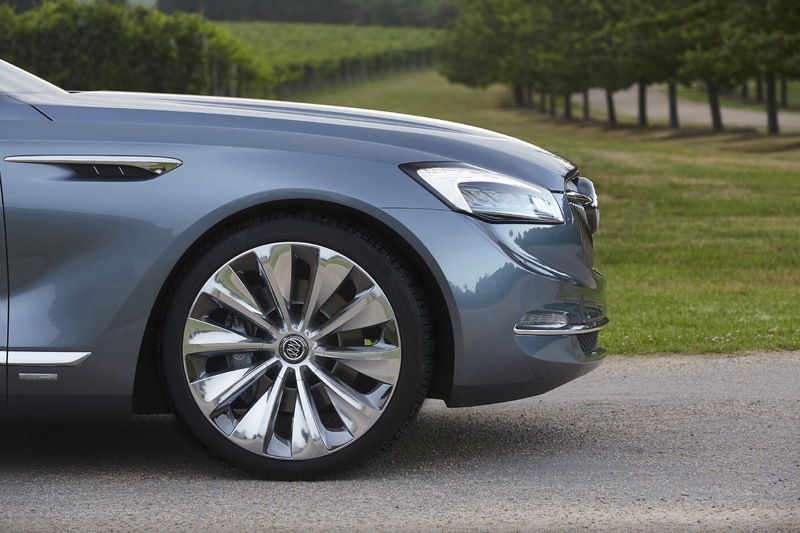 The Lincoln MKS will not hold a candle to this car while it is pretty much front-wheel drive. 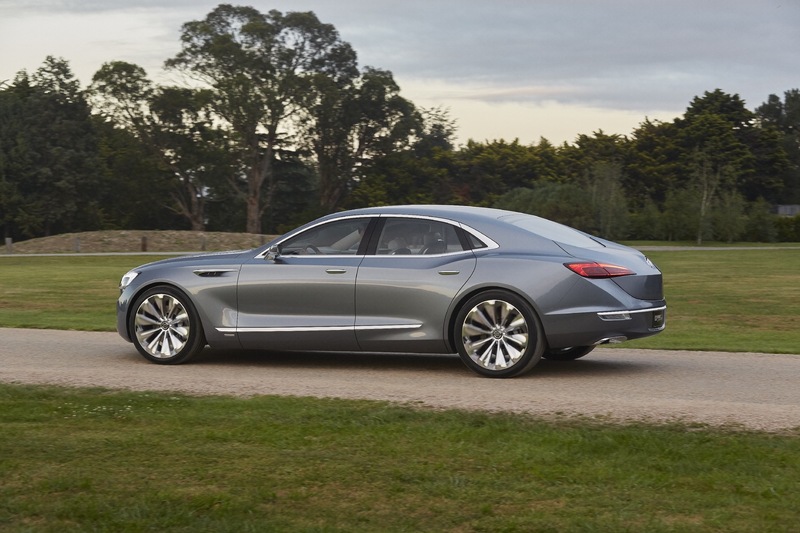 It is more of a competitor to the XTS and Lacrosse. 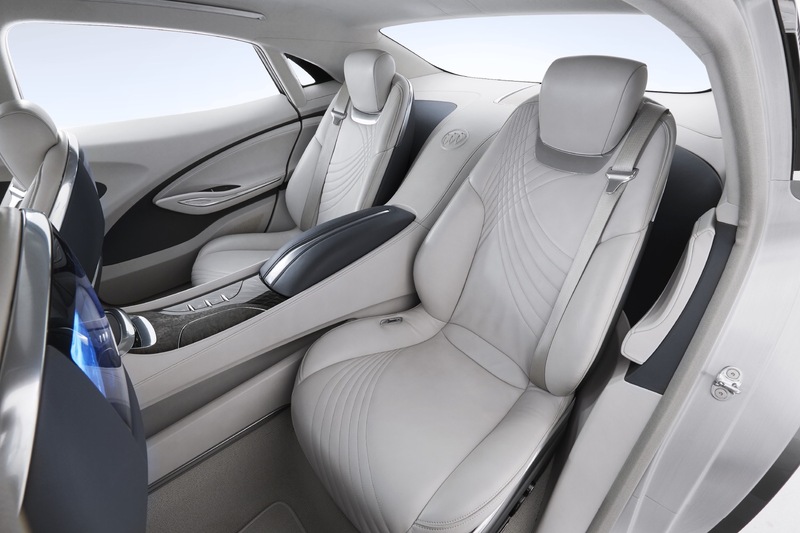 I really like the interior treatment, recalls the design of the Cadillac XTS using style and materials of German origin, could pass for being inside an Audi but nicer. Hold up. Hold up everyone. Hold up. Remember the rumors of the grand national being reborn? I wonder if this might have something to do with it. I could be very wrong and way off but this could have a lot of similarities to the hopefully reborn grand national. Just a thought. Kevin, this isn’t it. But that doesn’t necessarily mean the GN isn’t coming. Anyone else notice it has the China market version of the three shields? only competitor MB s klass and up bentley. even the new bmw 7 seria to be. not a competitor. Audi A8 is not the competitor. bmw 7 and even now has not aud8 .Mb s class competitors entirely. They are compared, however, they are not comparable. 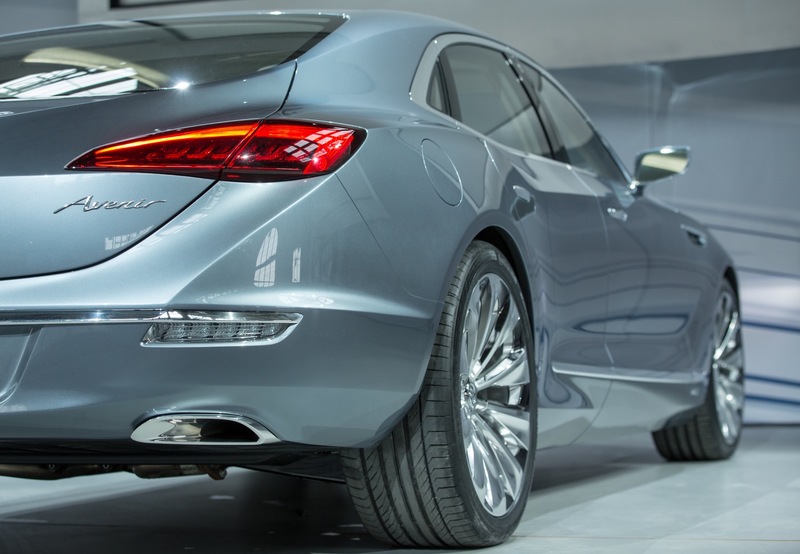 It is close to the buick CONSEPT mb s class. 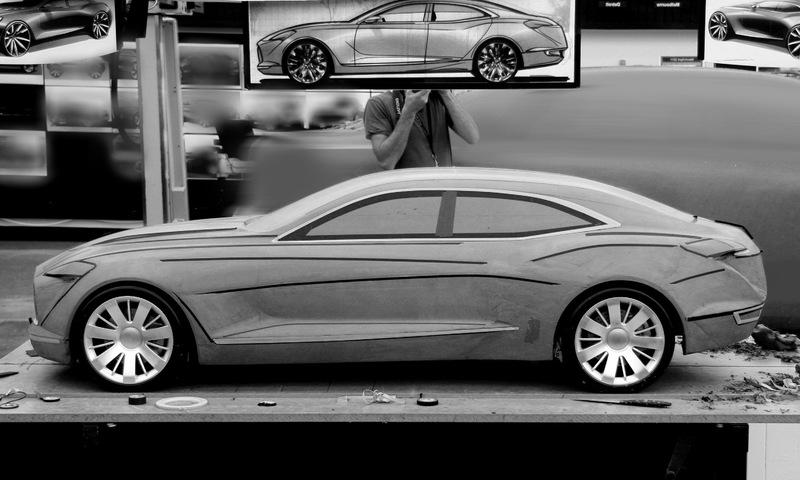 Examine the MB S class, and you can understand what it is and what the machine is offered with that car. 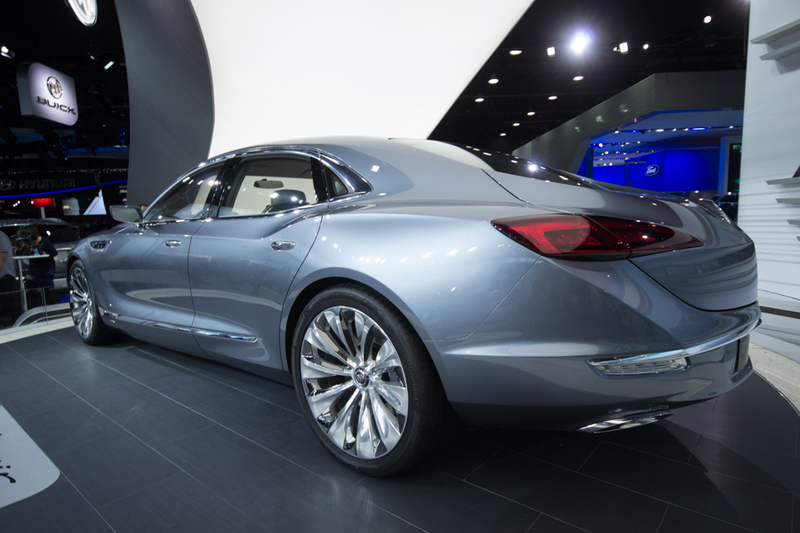 This car is 90% production ready and there is no reason why GM can’t build it. 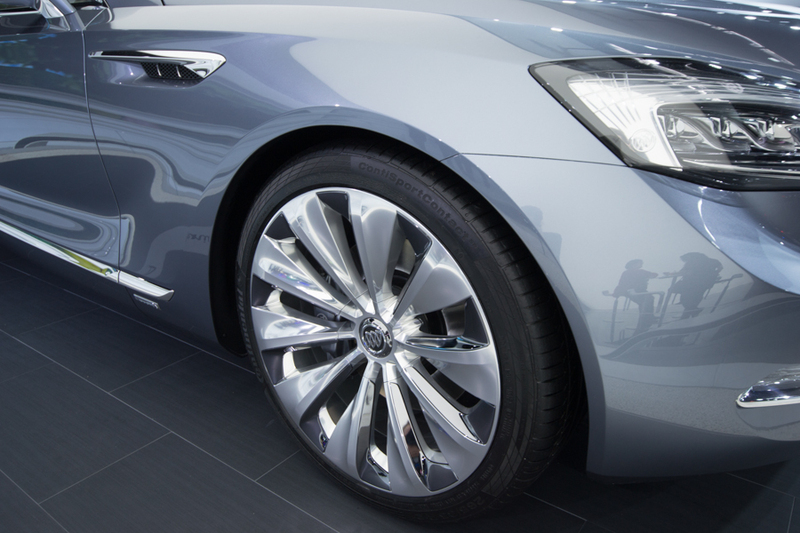 This would offset the cost associated with Omega with the future Cadillac products. 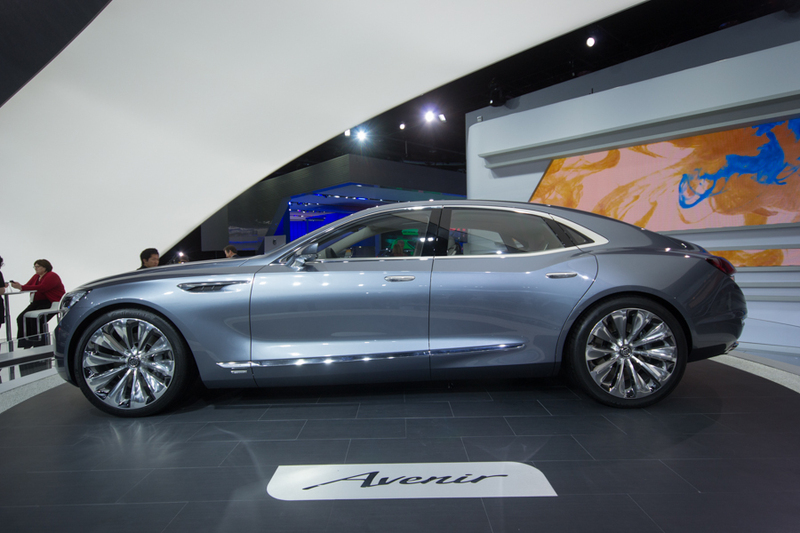 This car could be a competitor to the CT6 which is not a bad thing in my opinion since the Buick will mostly be a value competitor to the CT6 while the CT6 will have the best of everything while the Avenir will have 80%-90% of its features and technology. If you think about it, potential shoppers cross shop the Escalade and Yukon Denali so I would expect this car to be cross shop with CT6 as well. 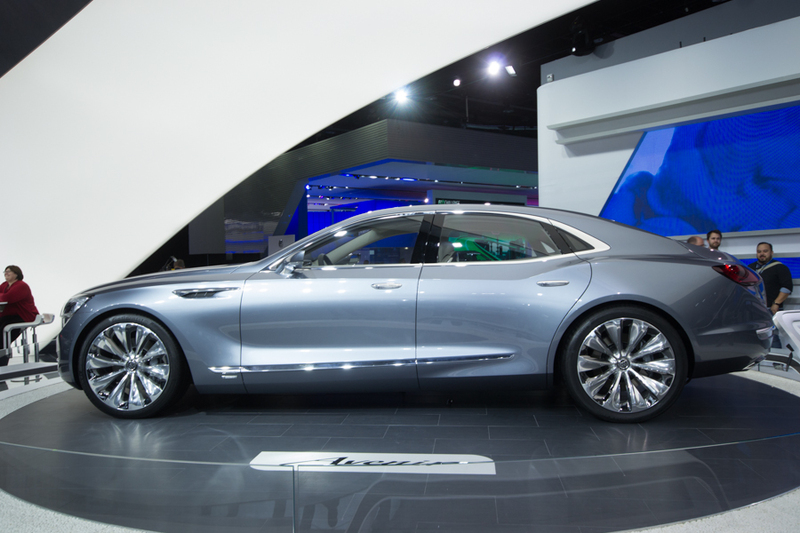 But regardless, if being cross shopped, it will keep potential buyers within GM. 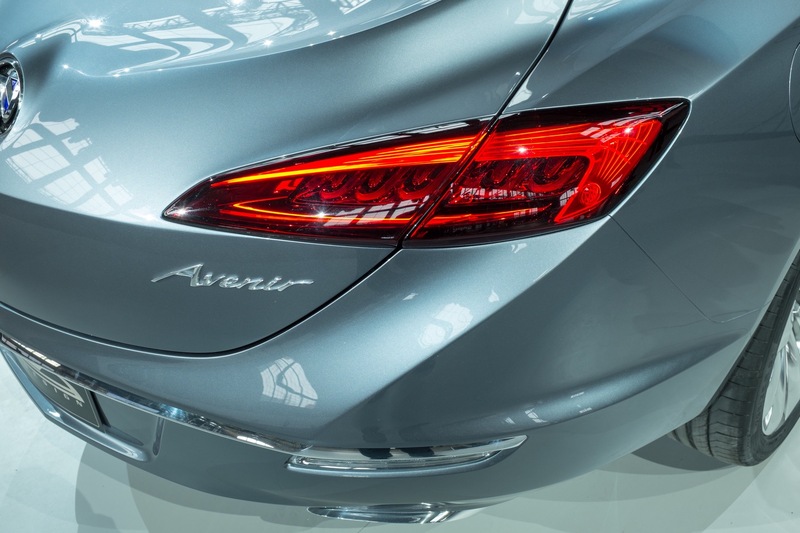 The Avenir is needed to go against value brands like Kia K900, Hyundai Equus and VW Phaeton. 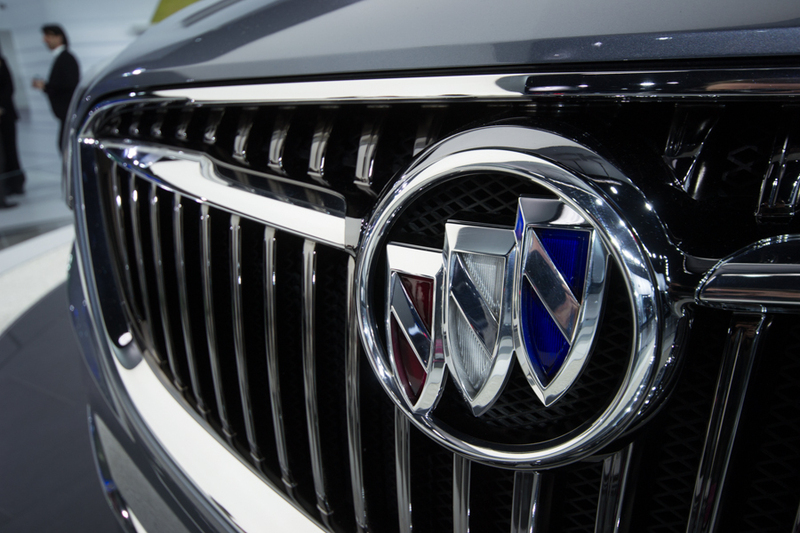 Buick needs to be that brand when doctors and lawyers use to own back in the day.